We take great care in the shipping of all products. We combine economy with security by maximizing space to save on shipping costs, while ensuring that the contents are well-protected during their flight from Japan to your doorstep. Each parcel is carefully packed and labeled by hand. 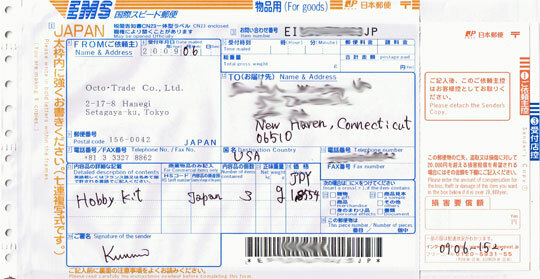 Shipping is done via EMS (Express Global Mail) with insurance and a tracking number. Delivery time is typically within 7 business days from receipt of payment. For further information and our official policies, please refer to Article 10 of our Terms and Conditions.